The best trips aren’t necessarily the longest. Having the luxury to island-hop is one of life’s greatest joys, for me. Sometimes I can take it to the extreme, as I did in this case. I Flew from Miami and landed in St. Maarten (Dutch side of the island). 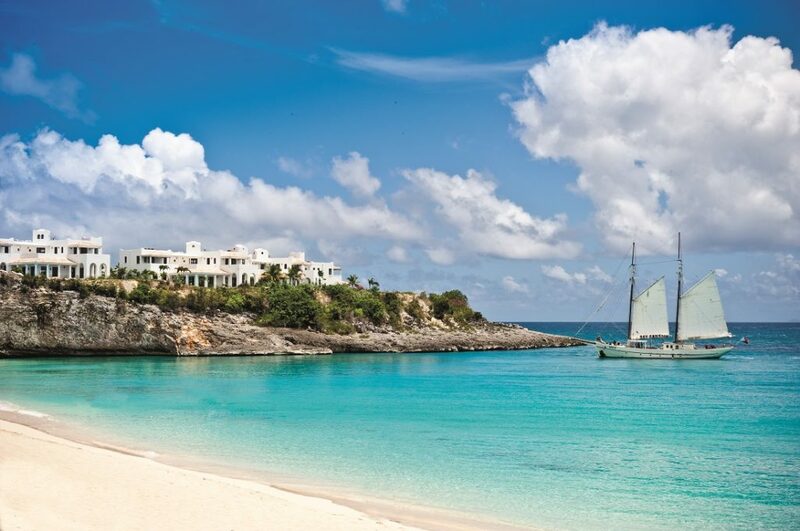 As quickly as customs and immigration were in the rear-view mirror, the private launch to Cap Juluca was in my sights and off we went to Anguilla. 25 minutes spent on the water is always 25 minutes well spent and about three days too short. I knew what awaited me on the next island and although being on the water is everything, I was anxious to see the newly redone (and not to be outdone) iconic resort. 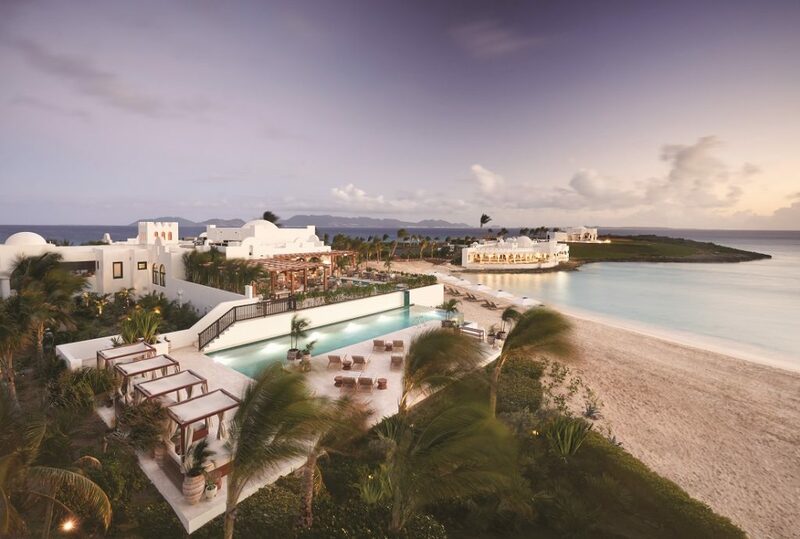 Belmond Cap Juluca, Anguilla is a chic-island hideaway on the serene shores of Anguilla and the first resort within the Belmond global portfolio to be re-imagined under the brand’s new art direction. These are words not usually associated with a resort’s makeover. Reimagined and art direction were apt for what this property has undergone. Belmond spent over $100 million dollars on the redesign and with that jaw-dropping price tag, I knew there had to be some spectacular changes. Keep in mind that I have been visiting the island and the resort for over 20 years. 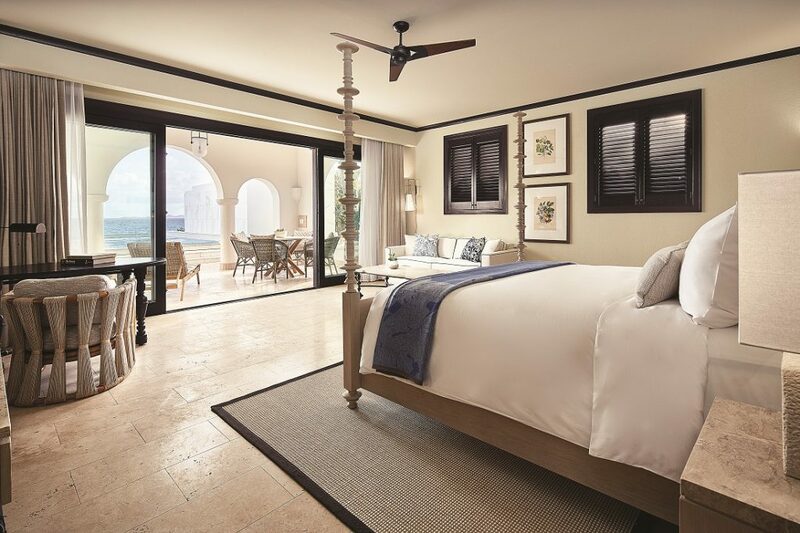 My last visit having been about 2 years ago and the patina of decades under the Caribbean sun were becoming noticeable and I had heard that Belmond was just taking over and a refresh was going to take place. As soon as I laid eyes on the resort, I realized that was merely and massive understatement. From the moment guests are welcomed on to the property, their Caribbean discovery begins with a mesmerizing arrival. As they approach the Main House and heart of the resort, the view of the skies, turquoise sea and pure white sandy beach unfolds in a dramatic sequence. The high-domed ceiling of the entry was deliberately designed to first reveal and then frame the view. 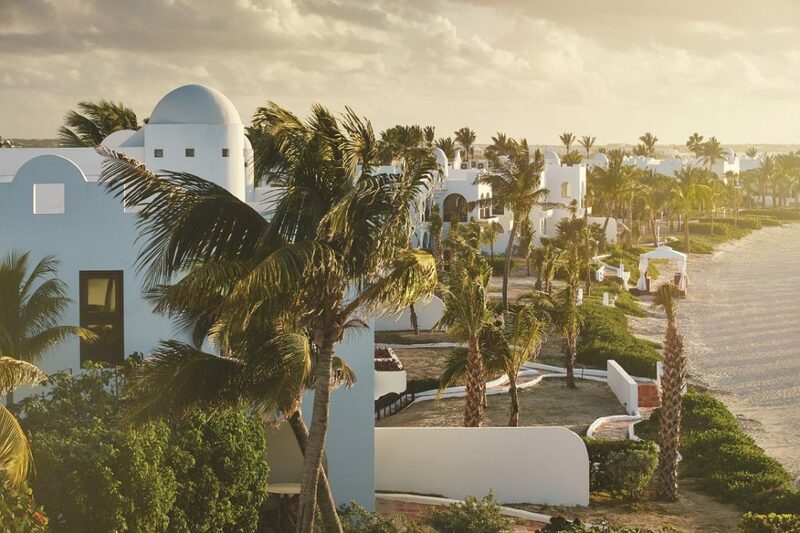 Having always been known as a world of timeless glamour and laid-back luxury, Belmond Cap Juluca’s beautiful new design pays homage to the surrounding landscape and Anguillan heritage; blending the old-world charms of Marco Polo’s travels with new world comforts. Redesigned rooms, suites, villas and public spaces are joined by stunning new additions, including, sea view infinity-edge pool with palm-lined terraces, a breath-taking Arawak Spa and fitness center, are all designed to celebrate the spectacular view of Maundays Bay and blend with the resort’s signature Greco-Moorish architecture. Eat your heart out over these views, but the culinary offerings invite ed me to o the same. 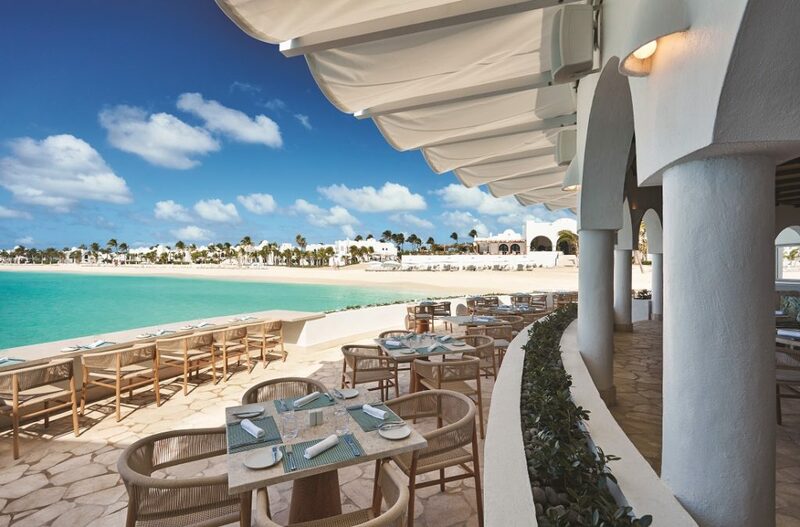 Belmond Cap Juluca is at the heart of the rich and diverse gastronomy scene on the island – championing locally sourced, freshly prepared and healthy Anguillan and Caribbean cuisine. 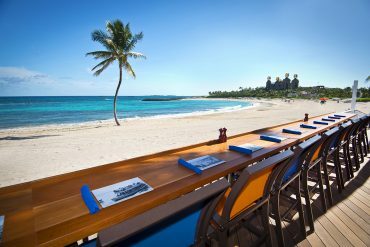 Pimms is an invitation to dine on authentic Caribbean cuisine and Anguillan delicacies in relaxed elegant surroundings. Free flowing drapes and lightweight fabrics are layered throughout the space and sway gently in the evening breeze, setting the mood for romance. A taste of the world of Belmond, through dishes inspired by the world-famous ‘CIP’s Club’ in Venice can be enjoyed at the resort’s casual all dining restaurant, Cip’s by Cipriani. Saturated green and white ceiling and floor tiles and flashes of botanical print form a part of the restaurant’s striking design and are inspired by the captivating seaward views and surrounding tropical landscape. Hand built and simply constructed using timber and ropes that age beautifully over time is The Cap Shack – the epitome of island-chic and barefoot luxury – where sundowners are enjoyed by sun-kissed revelers who seek a front seat in the sand. Creatively mixed rum punches, catch of the day and BBQ beach tapas are served as the sound of live calypso and reggae fills the night skies. 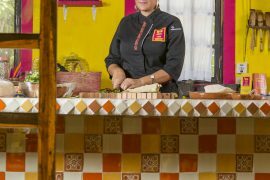 Maundays Club, where fresh Peruvian tapas is served daily, is positioned between the main domed Living Room and the Moroccan pool terrace, and features woven furniture, juxtaposed with dark green walls and mahogany doors. 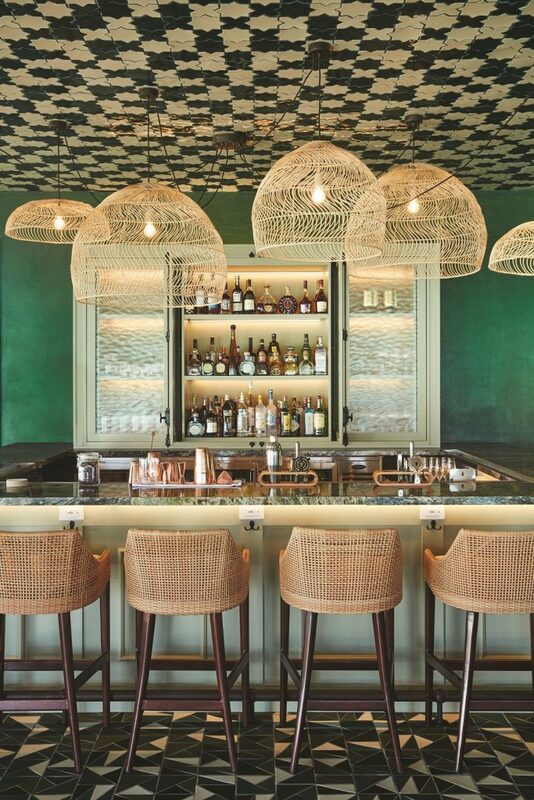 The rum bar, accented with antique mirrors and woven grass cloth, is flanked by two large commissioned paintings, inspired by island botanicals. Please don’t get me started on The Arawak Spa. 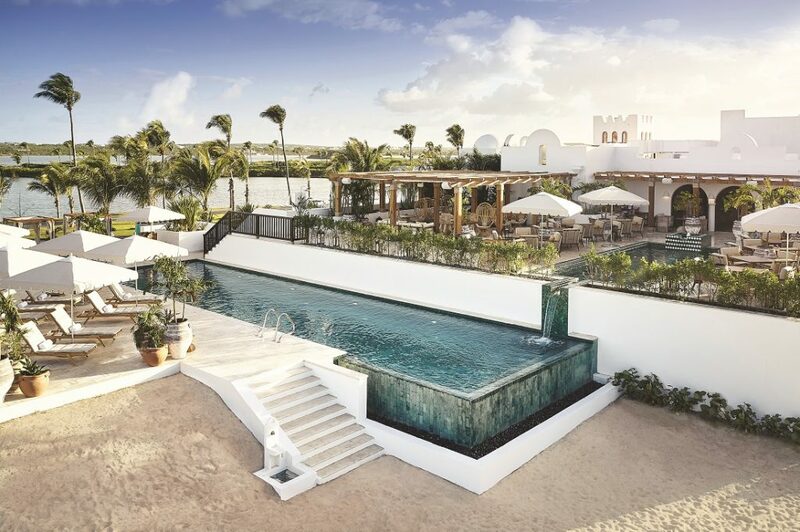 It is A haven to disconnect, offering bespoke Anguillan-inspired treatments. Its beach cabanas are just steps from the water’s edge. 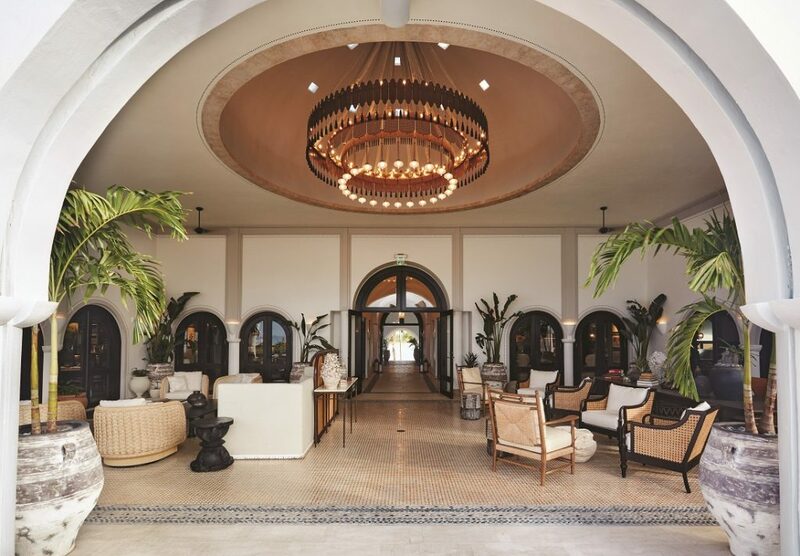 Nestled within tropical landscaped gardens, the spa boasts a private swimming pool, fitness center, three all-suite treatment villas, beauty salon and private relaxation terraces that overlook the Caribbean Sea. What sealed the deal for me was that I was suffering from Tennis Elbow and discussed this with my therapist prior to treatment. Her one hour of massage did more for me than six sessions of physiotherapy. Time well spent, I would say. While the resorts’ views remained the same, everything else has become blindingly more spectacular. Only having 36 hours to spend between Cap Juluca and La Samanna, back in St. Martin (French side) I begrudgingly left for the dock and headed across for another fabulous 25 minute boat ride. 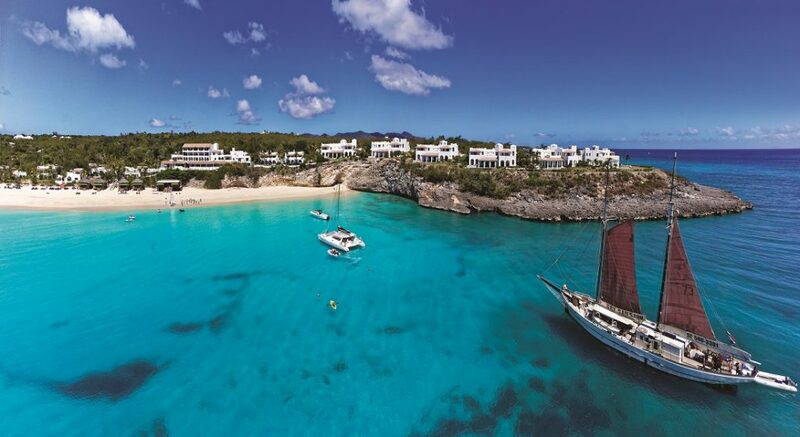 La Samanna welcomed me with open arms, if not a slightly less dramatic entrance thatn its sister, Cap Juluca. 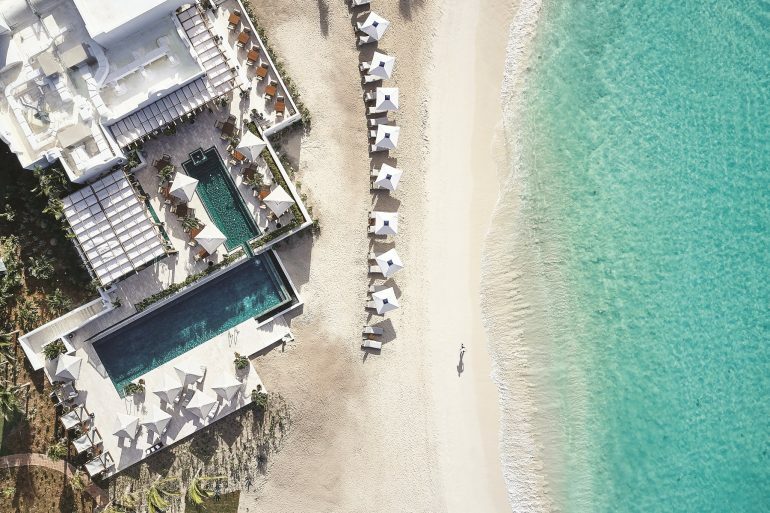 Belmond’s sparkling beach retreat is back on the scene and reclaiming its rightful place on the luxury roster of St Martin. Following a chic restyle, the resort hit the sand running and welcomed guests with that French flair, found only on this side of the island. Located within the island’s most prestigious French West Indies neighborhood, overlooking Baie Longue’s mile-long white sands; the LA Samanna is encapsulated in elegance. I indulged in elegant European cuisine, sipped Champagne at sunset and never once thought about leaing the resort to explore the vibrant coastline’s designer boutiques and over 400 restaurants. Flourishing under the art direction of ‘Pastel-chic’ is the resort’s 83 rooms and public spaces, which have been given a refresh by interior design firm MuzaLab, London. I felt like I was walking on to a movie set and expected to bump into Audrey Hepburn. 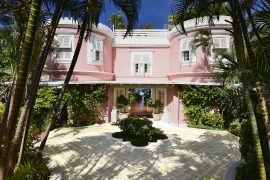 I half imagined here sitting under one of the coral-pink umbrellas that are classically trimmed in white fringe, sliding her large white-framed sunnies down her nose as she sheepishly, yet coquettishly, looked over their rim at me strolling in to make myself a part of the scene and to be seen. 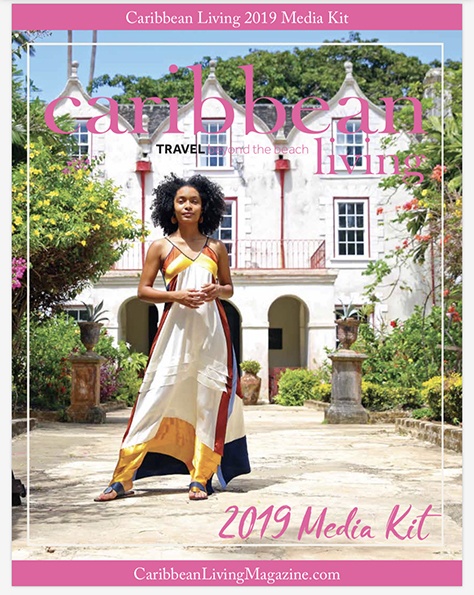 Pastel blues, greens, pinks and peaches are inspired by the natural tones of the Caribbean Sea, shells and corals and are used alongside intricate and colorful botanical prints on fabrics, artworks, lighting and mirrors. As I explored the newly invigorated Baie Longue Bar, L’Oursin restaurant and main building, these playful color palettes evoked a sense of place and alluded to French romance. I was smitten at first sight. Contributing to St Martin’s reputation as the Caribbean’s culinary capital – Belmond La Samanna reopened its sophisticated beachfront French restaurant Trellis – now named L’Oursin – where dining gave me an occasion to dress up and remember; as the chefs serve up culinary masterpieces with European finesse. The historic La Cave Wine Cellar is the largest private wine cellar in the Caribbean and offered a memorable dining and fine wine pairing experience curated by the Head Chef. The resort’s new look Beach Bar is a glamorous nightspot that I barely had time to partake in. It sits by the water’s edge and I barely was able to finish a Champagne, but I will be back for a cosmopolitan cocktail as the sun goes down, next time. Playful swings, monochrome lounge seating and dramatic chandeliers invite a cause for celebration. This is my sort of place.